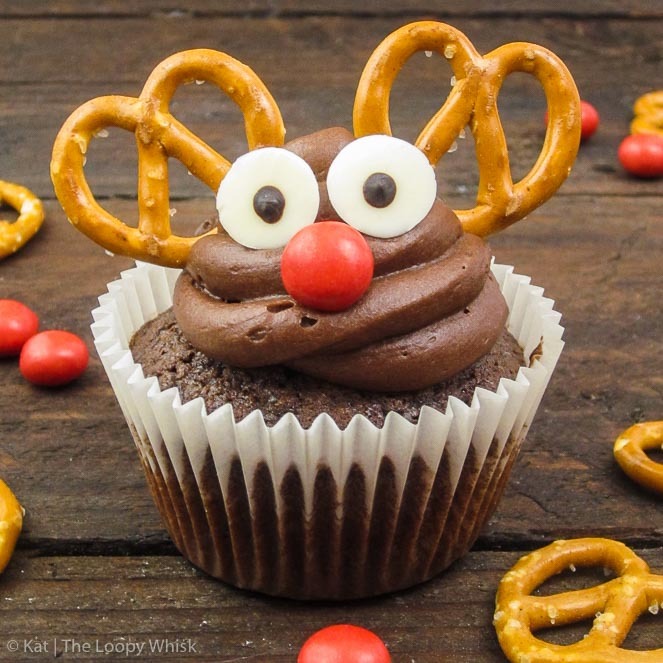 Cuteness overload – welcome this Christmas season with these adorable Rudolph the red-nosed reindeer Mexican hot chocolate cupcakes. Ridiculously easy and quick to make, they are chocolatey, with just enough of a kick from the chilly powder. Although they are almost too pretty to eat, they are also too delicious not to! This is the first recipe in the series ‘The Loopy Christmas 2016’ (all recipes in this series can be found in the recipe index under ‘Christmas’) – watch this space for more Christmas yumminess. Rudolph the red-nosed reindeer had a very shinyyyy nooooose. As people who know me, and have had the misfortune of hearing me “sing”, can attest, I have no sense of rhythm or melody whatsoever. But that doesn’t stop me from breaking into Christmas songs at random moments every year when December rolls ‘round. If you were one of the unfortunate people to hear me sing and hum while rushing about in my frantic search for icing sugar, I deeply apologise. And I’m sorry, but it will happen again. Well, the singing and humming part will, though I sincerely hope the craziness that will forever be known (in my mind, at least) as icing-sugar-geddon won’t take place ever again. You see, running out of icing sugar in the middle of making buttercream for four batches of cupcakes is no fun. Finding that there is no icing sugar to be bought in your local grocery store is even worse. But discovering that there is no icing sugar in any shop in your proximity is a disaster of a ‘the-end-is-near’ level of seriousness. But all is well that ends well, and some icing sugar was eventually acquired (no-one was hurt in the process, I promise). 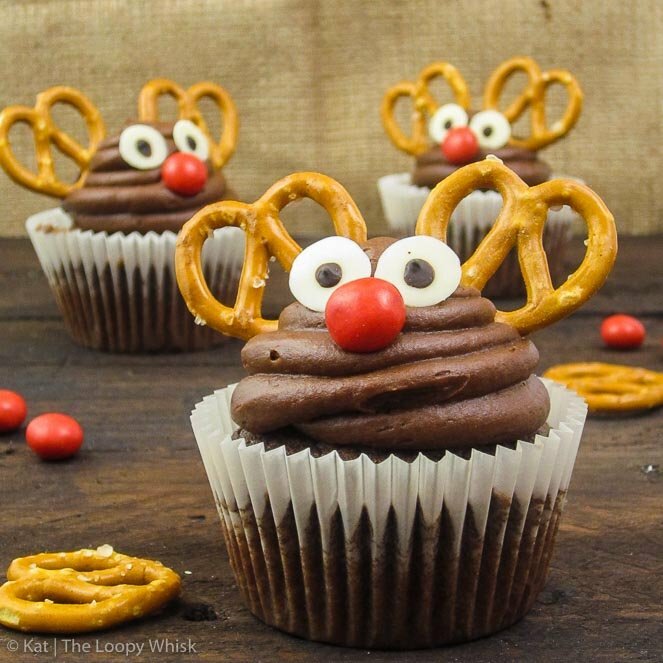 And so, with great relief and giddiness over how oh-my-gosh-so-adorable they are, I bring to you today: Rudolph Mexican hot chocolate cupcakes. Because we’re cool and badass, we won’t stop at just plain chocolate cupcakes (although: is there such a thing as just chocolate anything? ), but we’ll add cinnamon, a pinch of nutmeg and chilly powder for some Mexican hot chocolate vibes. I’ll leave it up to you how much chilly you use (the amount stated in the recipe below is more of a guideline rather than a rule). I prefer amounts that leave my mouth kind of warm and tingly, but don’t reach I’m-about-to-start-breathing-fire levels. 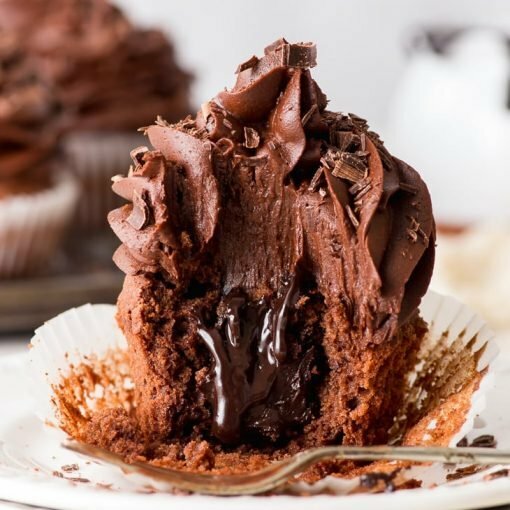 As with the mint chocolate chip cupcakes, these cupcakes are made by throwing everything together into a bowl and mixing for about 60 seconds. The buttercream is just as complicated (read: not at all), what with fluffing up butter and sugar, and then adding cocoa powder and a bit of red food colouring (the latter gives a warm brown colour to your Rudolphs, making them all pretty in an almost-too-cute-to-eat kind of way). 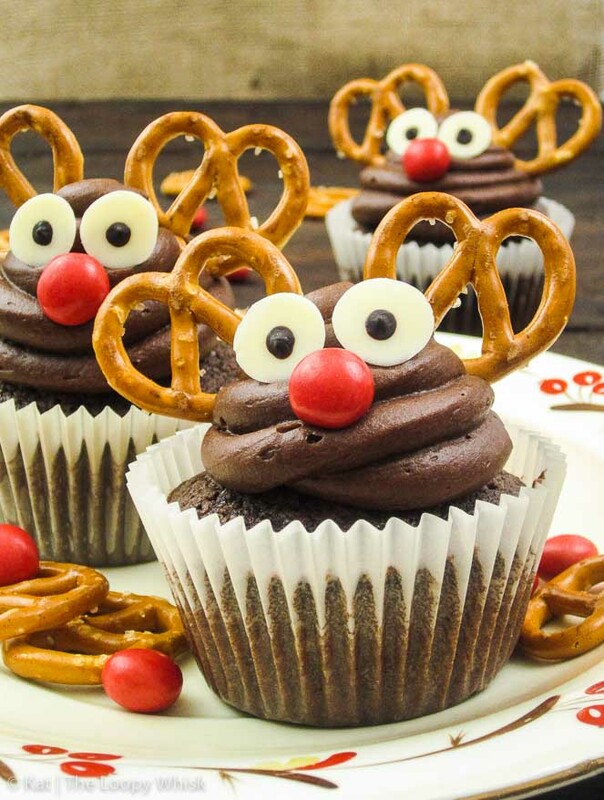 Red M&M’s, pretzels and googly eyes complete the adorableness that are Rudolph Mexican hot chocolate cupcakes. (I took the longer, fiddlier route with the googly eyes and made them myself from melted white and dark chocolate, but you can easily buy them in your local baking store or online if you want less hassle.) 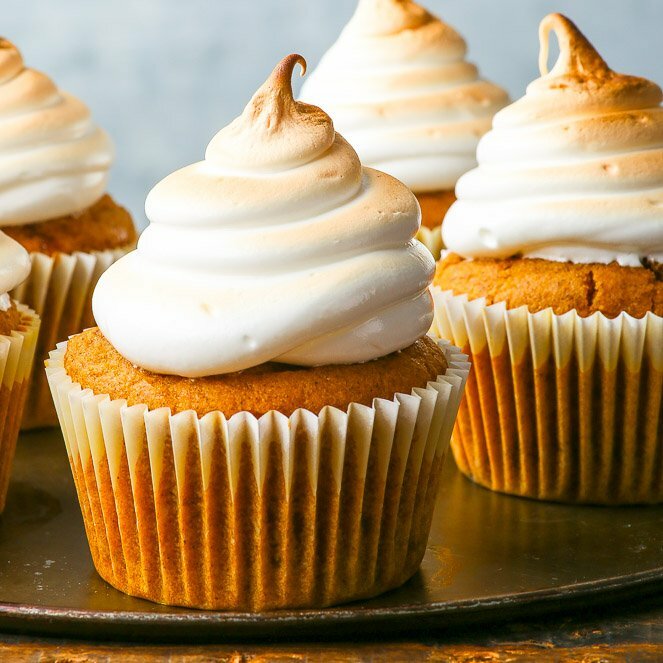 So what I’m getting at is that these cupcakes are almost ridiculously easy to make, especially given how enchanting the end result is. 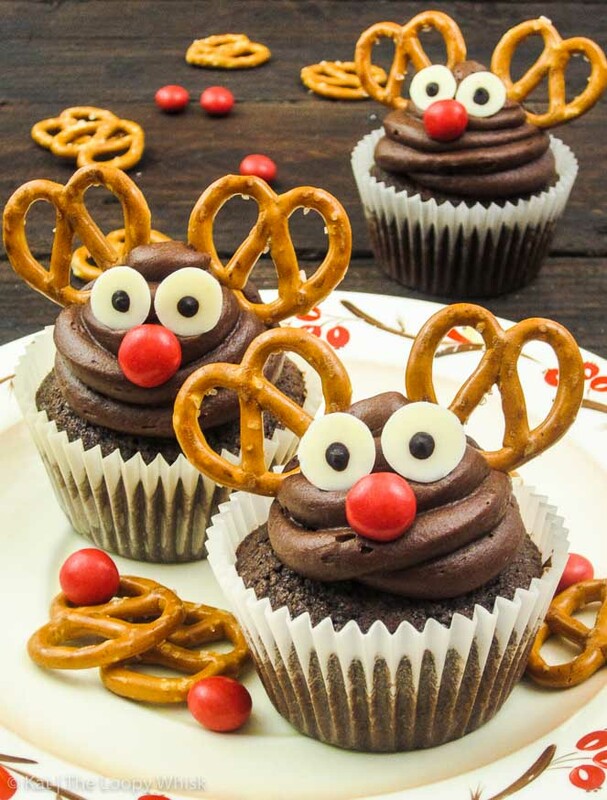 Let me point out here that I have resorted to using Thesaurus for finding alternatives to ‘cute’ and ‘adorable’ – that’s how… cute and adorable these Rudolph cupcakes are. Christmas is all about things that bring you joy and make you beam with childish excitement. 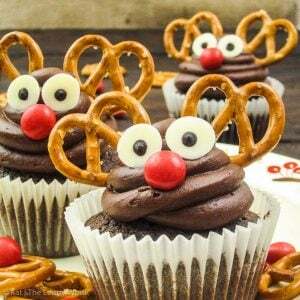 These Rudolph Mexican hot chocolate cupcakes fulfil both of these criteria (so long as you go easy on the chilly powder). 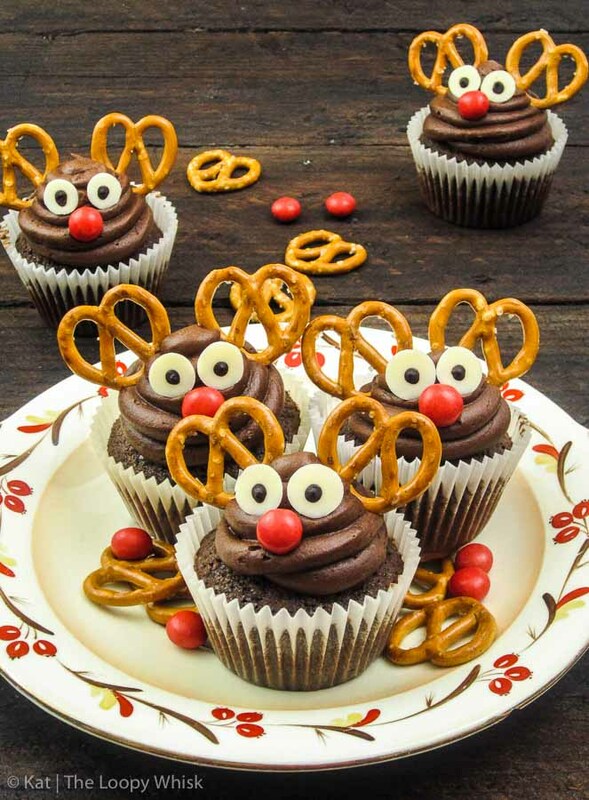 Honestly, just writing this post and looking at the pictures has me all giddy and bouncy – so come on, get on the Christmas-is-almost-here bandwagon (nevermind that it’s only the beginning of December) and bake these Rudolph cupcakes for an extra dose of adorable cuteness in you life (I’ve given up on Thesaurus, if you can’t tell). Bonus points if you sing and hum Christmas songs while you bake, and if you’re terribly out of tune, who cares? 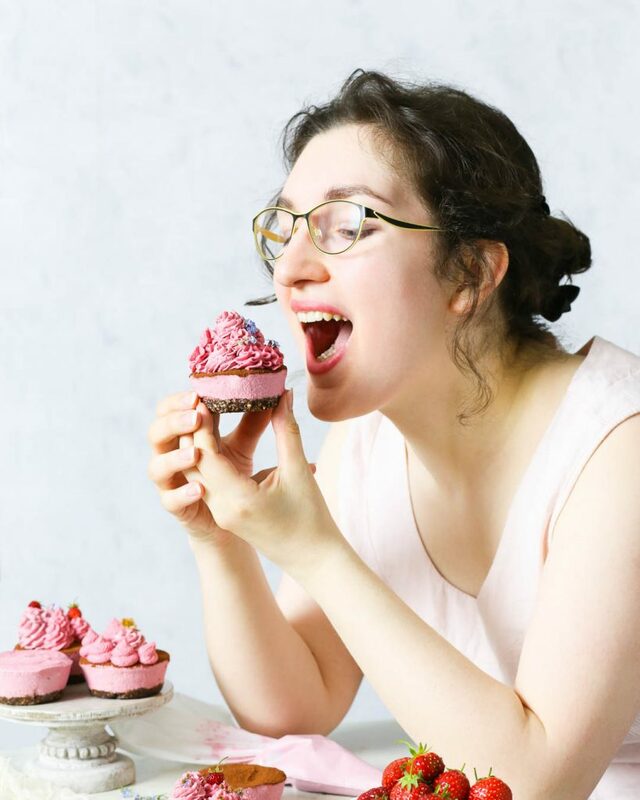 Just give the innocent bystanders a Rudolph cupcake, and I guarantee, they will forgive you just about anything. 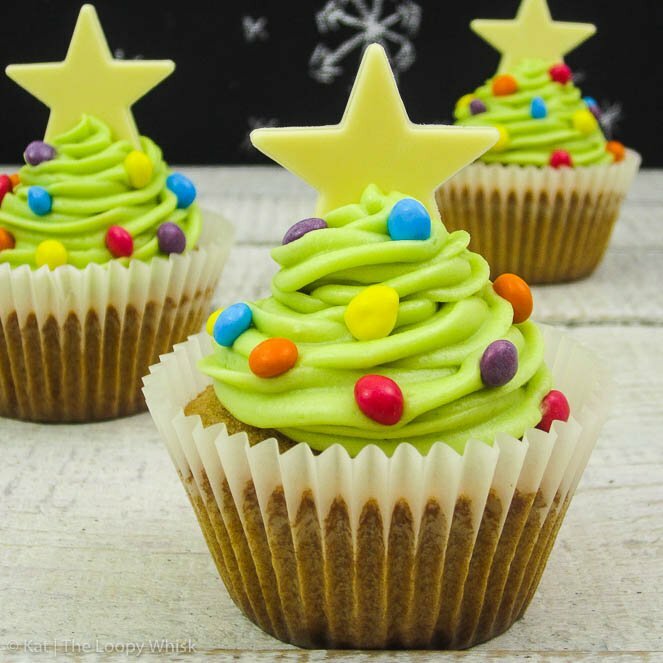 These adorable Christmas cupcakes are ridiculously easy and quick to make, and almost too pretty to eat. But they are also way too delicious not to, with their chocolatey taste and the spiciness from cinnamon, nutmeg and chilly powder. Dissolve cocoa powder in boiling hot water, mixing until a smooth paste is obtained. Leave aside to cool. Sift together flour, baking powder, bicarbonate of soda, salt, chilly powder, cinnamon, nutmeg, and sugar into a large bowl. Add butter, eggs, and the cooled cocoa powder paste to the flour mixture. Add cocoa powder and red food colouring, mixing for ~1 – 2 minutes, until evenly incorporated into the buttercream. 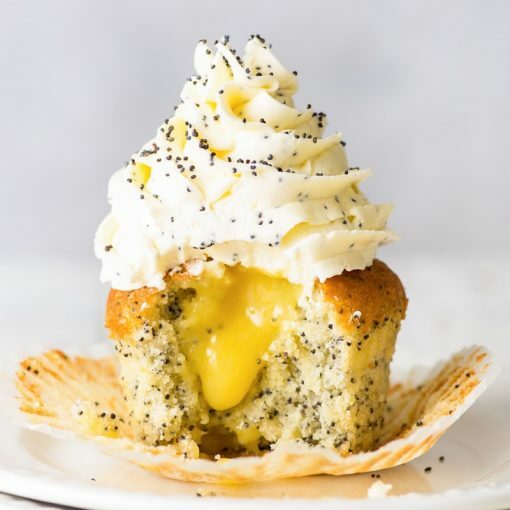 Pipe the buttercream onto cooled cupcakes, with a large round nozzle. 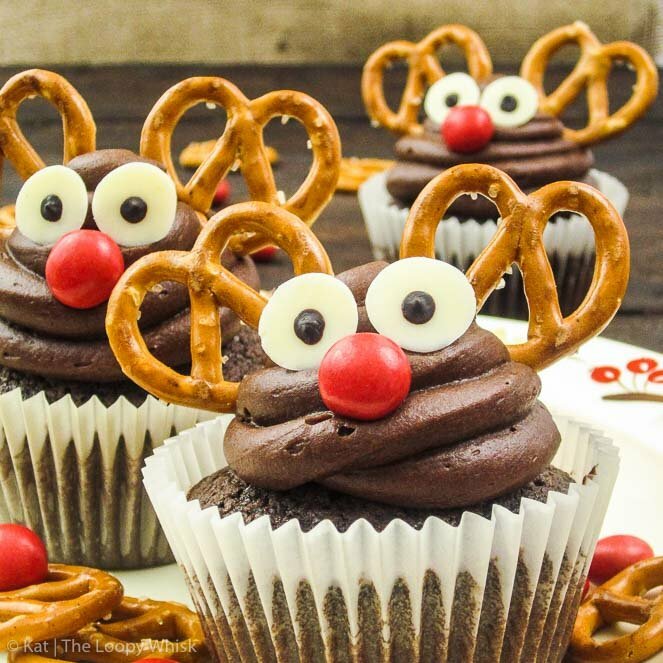 Make the Rudolphs by decorating with pretzels, red M&M's, and googly eyes. The cupcakes can be kept in a closed container in a cool dry place for ~3 days (so not going to happen, they will disappear before you can say 'Rudolph the red-nosed reindeer'). Note 1: You can use cayenne pepper instead of chilly powder. The amount given is a guideline, increase or decrease it according to taste. Note 2: I made googly eyes by melting white and dark chocolate in the microwave (at medium power for 2 1/2 minutes for each chocolate batch). Pipe white chocolate circles, about 8 mm in diameter, onto a tray lined with baking/greaseproof paper, and leave to set in the fridge for a few hours or overnight until firm. Unstick the white chocolate circles and turn them around so that the smooth flat side faces up. Use a toothpick or a chopstick to dot little circles of melted dark chocolate onto the white chocolate pieces. Return to the fridge for a few hours until the dark chocolate firms up. Alternatively, skip all the steps, and buy the googly eyes from your local baking shop or online. … Christmas tree cinnamon cupcakes? Thank you, Monika – so glad you like them. 🙂 I know, they are so adorable – but honestly, way too delicious not to eat (possibly more than one).